Bu araştırmanın amacı, Braaten ve Rosen (1998) tarafından geliştirilen “Evlilik Tutumu Ölçeği” ni Türkçe’ye uyarlamak ve ölçeğin geçerlik ve güvenirlik analizlerini yapmaktır. Araştırmaya Dokuz Eylül Üniversitesi Eğitim Fakültesi’nde öğrenim gören toplam 440 üniversite öğrencisi katılmıştır. Öncelikle ölçeğin dil geçerliliği incelenmiş ve dil geçerlilik katsayısı .93 olarak bulunmuştur. Daha sonra geçerlik ve güvenirlik analizleri yapılmıştır. Ölçeğin iç tutarlılık katsayısı .85, test-tekrar test güvenirlik katsayısı ise .91 olarak hesaplanmıştır. Ölçeğin tek faktörlü yapısı doğrulayıcı faktör analizi yöntemiyle test edilmiştir. Araştırma sonuçları, ölçeğin tek faktörlü yapısının doğrulandığını ve evlilik tutumlarını ölçmede kullanılabileceğini ortaya koymaktadır. The purpose of this study is to adapt the “Marital Attitude Scale” developed by Braaten and Rosen (1998) into Turkish and to conduct the validity and reliability analysis. The research has been conducted on 440 university students from Faculty of Education in Dokuz Eylul University. First of all, the language validity of the scale has been analyzed and language validity coefficient has been found as .93. Then, the internal consistency coefficient has been calculated as .85, and test-retest reliability coefficient has been calculated as .91. Singlefactor structure of scale has been tested via confirmatory factor analysis. The results of the research point out that the single-factor structure of scale has been confirmed and can be used in measuring marital attitudes. Evlilik tutumları, doğrulayıcı faktör analizi. Marital attitudes, confirmatory factor analysis. Ahrons, C. (2004). We’re still family: What grown children have to say about their parents’ divorce. New York: Harper Collins Publishers, Inc.
Amato, P. R., ve DeBoer, D. D. (2001). The transmissions of marital instabilityacross generations: Relationship skills or commitment to marriage? Journal of Marriage and the Family, 63, 1038-1051. Amato, P. (2003). Reconciling divergent perspectives: Judith Wallerstein, quantitative family research and children of divorce. Family Relations, 52, 332-339. Amato, P.ve Booth A. (2001). The legacy of parent’s marital discord: Consequences for children’s marital quality. Journal of Personality and Social Psychology, 81, 627-638. Bassett, L., Braaten, E.B, ve Rosén, L. A. (1999). Test-retest reliability for the Marital Attitude Scale. Journal of Divorce & Remarriage, 32(1-2), 155-158. Bartell, D. (2006). Influence of parental divorce on romantic relationships in young adulthood: A cognitive-developmental perspective. In M.A. Fine and J.H. Harvey (Ed. ), Handbook of divorce and relationship dissolution .Mahwah, NJ. Bayoğlu, F. ve Atlı, A. (2014). İnönü evlilik tutum ölçeği: Geçerlik ve güvenirlik analizleri. Ege Eğitim Dergisi. (15) 2: 397-415. Beach, S. ve Fincham, F. (2010). Marriage in the new millennium: A decade in review. Journal of Marriage and Family, (72), 630-649. Bethell Kay Vonne, L. (2010). The impact of parental divorce on college student’s perception of current and marital relationships. Unpublished master’s thesis. Miami University Oxford, Ohio.USA. Braaten, E. B., ve Rosen, L. A. (1998). Development and validation of the Marital Attitude Scale. Journal of Divorce and Remarriage, 29 (3-4), 83-92. Bruce, M., Flora, R. ve Stacey, C. (2004). Divorce as it influences the intimate relationships of college students. Journal for the Human Sciences, 3, 1-14. Buehler, C. Ve Gerard, J. (2002). Marital conflict, ineffective parenting, and children’s and adolescents’ maladaptive maladjustment, Journal of Marriage and Family, 64,78-92. Clarkberg, M., Stolzenberg R.,M., Waite, J.(1995). Attitudes, values, and entrance into cohabitational versus marital unions. Social Forces . 74(2):609–32. Cohen, L., Manion, L. ve Morrison, K. (2007). Research methods in education. Newyork: Routledge. Conger, R., Cui, M., Bryant, C, ve Elder, G. (2000). Competence in early adult romantic relationships: A developmental perspective on family influences. Journal of Personality and Social Psychology, 79, 224-237. Gabardi, L. ve Rosen, L.A. (1991). Differences between college students from divorced and intact families. Journal of Divorce and Remarriage, 15(3–4), 175–191. Gabardi, L. ve Rosen, L.A. (1992). Intimate Relationships: College students from divorced and intact families. Journal of Divorce and Remarriage, 18 (3-4), 25-56. Gilman, S.E., Kawachi, I. Fitzmaurice, G.M. ve Buka, S.L. (2003). Family disruption in childhood and risk of adult depression. American Journal of Psychiatry, 160(5),938-939. Glenn, N. D.ve Kramer, K. B. (1987). The marriages and divorces of children of divorce. Journal of Marriage and the Family, 49, 811-825. Gohm, C.L., Oishi, S., Darlington, J. ve Diener, E. (1998). Culture, parental conflict, parental marital status, and the subjective well-being of young adults, Journal of Marriage and the Family, 60(2), 319-334. Gubernskya,Z. (2010). Changing attıtudes toward marriage and children in six countries. Sociological Perspectives. 53 (2),180-199. Hetherington, E. M., ve Kelly, J. (2002). For better or for worse: Divorce reconsidered. New York: W.W. Norton & Company. Jacquet, S. E.ve Surra, C. A. (2001). Parental divorce and premarital couples: Commitment and other relationship characteristics. Journal of Marriage and Family, 63, 627-638. Jennings, M., Salts, C.J. ve Smith, T.A. (1991). Attitudes towards marriage: Effects of parental conflict, family structure, and gender. Journal of Divorce and Remarriage,17:67-80. Kalter, N. (1987). Long-term effects of divorce on children: A developmental vulnerability model. American Journal of Orrhopsychialry, 57, 587-600. Kinnaird, K. L., ve Gerard, M. (1986). Premarital sexual behavior and attitudes toward marriage and divorce among young women as a function of their mother’s marital status. Journal of Marriage and the Family,48, 757-765. Kurtz, L ve Derevensky, J (1994). Stress and coping in adolescents: The effects of family configuration and environment. Canadian Journal of School Psychology, 1994; 9: 204-216. Lach, J. (1999). The consequences of divorce. American Demographics, 21(10), 1-14. Larsen, M.
H., Harding, H,G.ve Klein, M. P.(2011). Will I divorce or have a happy marriage? Differences in comparative optimism and estimation of personel chances among U.S college students. Basic and applied Social Psychology, 33:2, 157-166. Larson, J. H., Benson, M. J., Wilson, S. M., ve Medora, N. (1998). Family of origin influences on marital attitudes and readiness for marriage in late adolescents. Journal of Family Issues, 19, 750-768. Lewis, B., H.(2006). An examination of the differences in marrital expectation of young adult from intact and divorced family. Unpublished master’s thesis, Auburn University, Alabama, USA. Markland, S. R. ve Nelson, E. S. (1993) The relationship between familial conflict and the identity of young adults. Journal of Divorce and Remarriage, 20,193-209. Memani, P. (2003). A comparative study of the marital attitudes of students from divorced, intact and single-parent families. Unpublished master’s thesis University of the Western Cape, Western Cape. South Africa. Nilforoshan, P., Navidian, A. ve Abedi, A. (2013). Studying the psychometric properties of Marital Attitude Scale. Iranian Journal of Psychiatric Nursing, 1(1), 35-47. Riggio, H. (2004). Parental marital conflict and divorce, parent-child relationships, social support, and relationship anxiety in young adulthood. Personal Relationships, 11, 99-114. Riggio, H.R. ve Fite, J.E. (2006). Attitudes toward divorce: embeddedness and outcomes in personal relationships. Journal of Applied Social Psychology 36(12) 2935–2962. Rogers, S. ve Amato, P. (2000). Have changes in gender relations affected marital quality? Social Forces, 79, 731–753. Schaick, K. ve Stolberg, A. L. (2001). The impact of paternal involvement and parental divorce on young adult.s intimate relationships. Journal of Divorce and Remarriage, 36, 99-121. Segrin, C., Taylor, M. E., ve Altman, J. (2005). Social cognitive mediators and relational outcomes associated with parental divorce. Journal of Social and Personal Relationships, 22, 361-377. Sinclair, S.L. ve Nelson, E.S. (1998). The impact of parental divorce on college studentsintimate relationships and relationship beliefs. Journal of Divorce and Remarriage, 29, 103-129. Sprecher, S., Cate, R. ve Levin, L. (1998). Parental divorce and young adult beliefs about love. Journal of Divorce and Remarriage, 28, 107-120. Valerian ,A.(2001). The relationship between family of origin processes and attitudes towards marriage and likelihood to divorce among college students. Unpublished doctoral thesis, Seton Hall University, South Orange, New Jersey, USA. Willett, J, M.(2009). Exploring the mechanisms of connection between offspring’s perception of interparental conflict and their current relationship functioning. Unpublished master’s thesis, The University of the Tennesse, Knoxville, USA. Yıldırım, İ .(1993). Evli bireylerin uyum düzeni. 3P Psikiyatri, Psikoloji, Psikofarmakoloji Dergisi, 1 (3), 249-257. ISNAD ÖZ SOYSAL, Fatma Selda , UZ BAŞ, Aslı , AYSAN, Ferda . "Evlilik Tutumu Ölçeğinin Türkçe’ye Uyarlanması: Geçerlik ve Güvenirlik Çalışması". 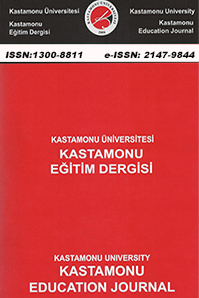 Kastamonu Eğitim Dergisi 24 / 4 (September 2016): 1951-1964.